WAVEFUN is the combination between wave and fun, which transmit the mission of this brand is just to increase the fun of sports, and offer more value of better quality, creative design and 5 stars shopping experience for customers. Super comfortable and secure fit: X-Buds bluetooth headphones are secure behind your ears and rest comfortably. Sure X-Buds wireless sports earbuds will bring you lots of music fun with your sports such as wireless headphones for running, jogging, hiking, cycling, and gym workouts. Sereo sound with noise reduction: The superior stereo with bass will energize your sporting activities. With CVC 6.0 technology, the X-Buds Bluetooth Earbuds reduce background noise, wherever you are, you can focus on your favorite music and enjoy the sound. 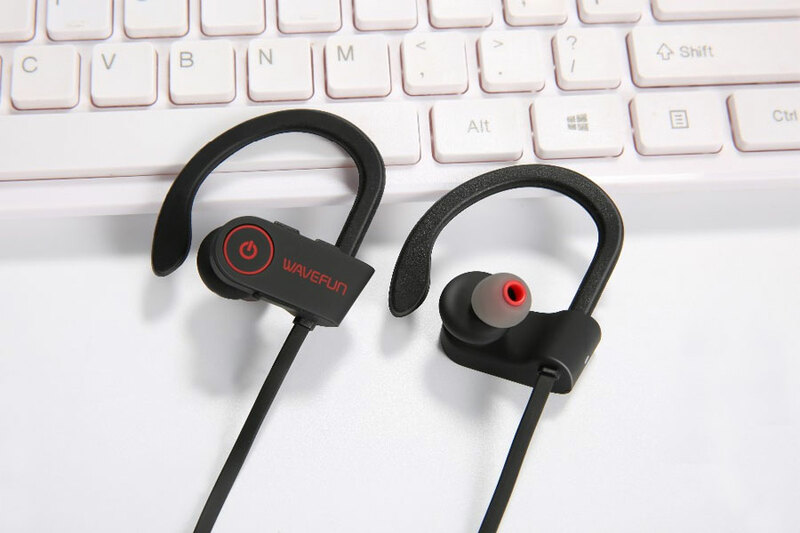 IPX7 water resistant: IPX7 advanced waterproof protects X-Buds from sweat for worry-free use. If the headset gets wet, then turn it off. It will work normally after it dries, it could be best wireless workout earbuds in this price segment. Bluetooth 4.1 universal connectivity: X-Buds give you the power of Bluetooth V4.1 technology for seamless syncing to your favorite devices such as iPhone, iPad, Android or Windows phone, etc. 7 hours listening time: It can deliver up to 7 hours of music or talk time on a full charge. The rechargeable battery can be easily charged through the micro USB port and gets fully charged in just 2 hours. Original CSR8635 Processor: BlueCore CSR8635 QFN consumer audio platform for wireless applications using the QFN package integrates an ultra-low power DSP and application processor with embedded flash memory, a high-performance stereo codec, a power management subsystem and LED drives. 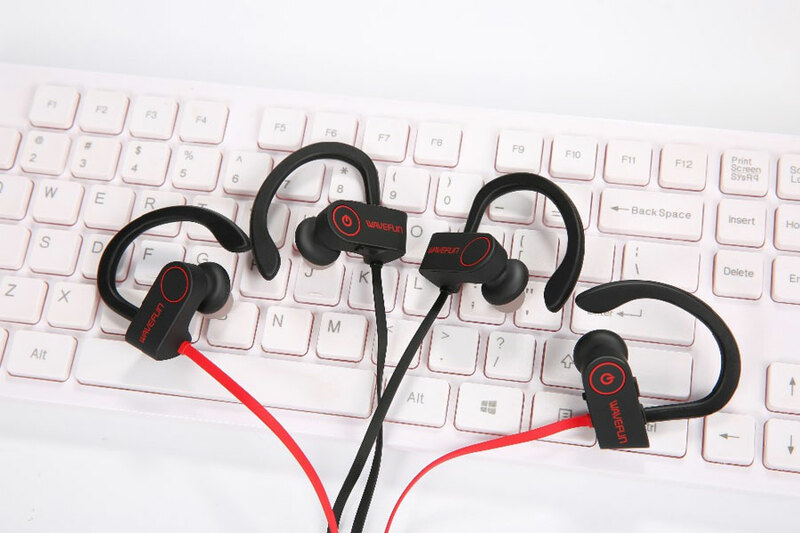 The CSR configuration tools and the development kit provide a flexible and powerful development platform to design advanced and high-quality Bluetooth Earphone stereo products. WAVEFUN X-Buds Wireless Sports Headphones come in two color options – Charm Red and Classic Black. With above introduction, the big surprise is the price. You can get it on Amazon now with huge discount of $44.99.